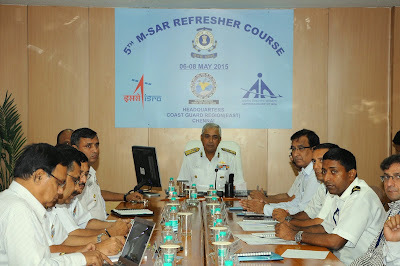 Inspector General SP Sharma, Commander, Coast Guard Region (East), inaugurated the 5th Refresher course for Maritime search and rescue coordination at Coast Guard Regional Headquarters (East) today. The three day long course is being attended by 12 participants from Airport Authority of India (AAI), and Indian Coast Guard who are directly involved in coordinating search and rescue over land and sea. 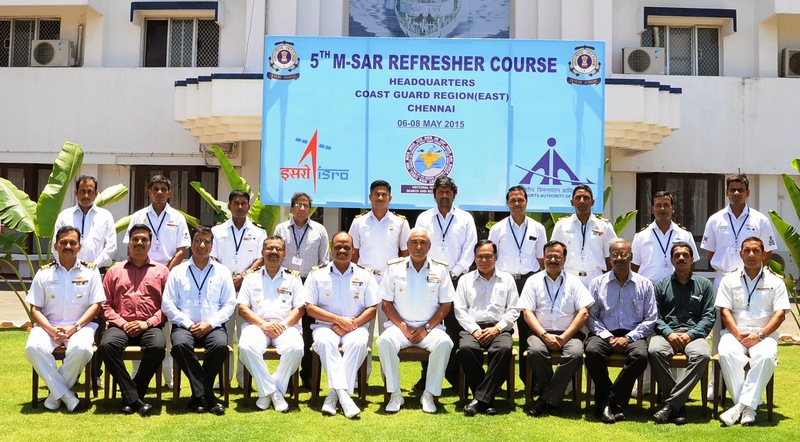 The Coast Guard is conducting this refresher course for the first time and last four such courses were conducted at Civil Aviation Training college by AAI. Senior faculties from Indian Coast Guard, AAI and scientist of ISRO Bengaluru are scheduled to take the lectures. The course focuses on sharing procedures for better integration of SAR organization in the Indian Search and Rescue Region (SRR). During inaugural address the Regional Commander stressed upon the need for better co-ordination through state of art communication so as to promptly respond to Search and Sescue requirement in order to save life and property at sea. The Indian Coast Guard is responsible for co-coordinating Maritime Search and Rescue in the Indian Search and Rescue Region (SRR) which comprises of 6.1 million square kilometers area at sea.